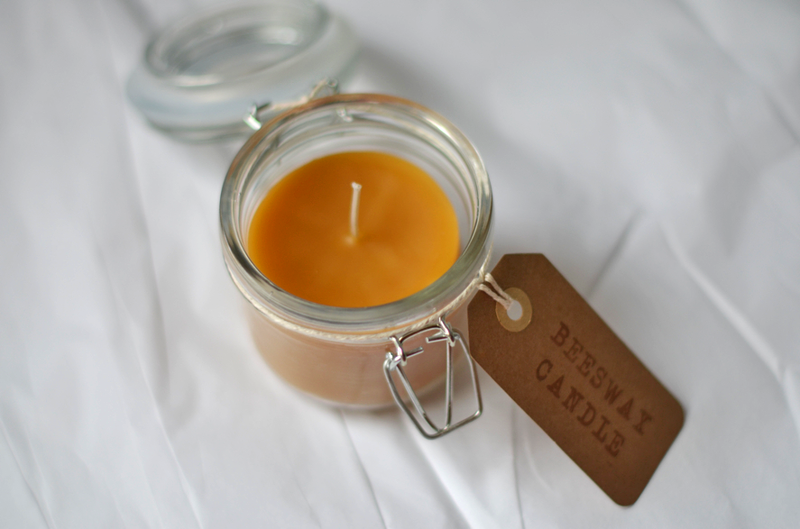 The first are Beeswax Candles. They were the most time-consuming ones, but I had a lot of fun, and I love how the smell isn't over-powering when you burn them. I followed Elsie's tutorial over at A Beautiful Mess, I got the glass cannisters from Hobby Lobby, and the Beeswax from this ebay shop. 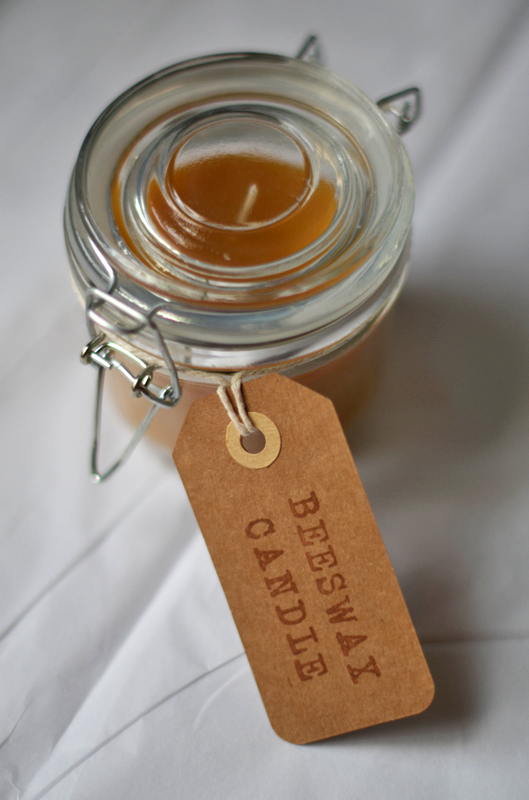 They weren't all that hard to make, you just had to really babysit the wax while melting it, and it can be a little tricky to get the wax into the jars, but it's really pretty fun! The vanilla was my favorite to make because it smells so amazing. They took the most planning since they needed to sit for at least two months before they were ready to use, and I wanted everyone to be able to use them right away. I bought the bottles off Amazon, and the vanilla beans from this Etsy shop. I just added one and a half vanilla beans to each jar (slicing each down the middle), and filling them to the top with vodka, and let them sit in a cabinet for 2 months until I was ready to give them out. The Cocoa were the simpliest, and most fun to make. I got pre-made cocoa mix from our local Amish Market (it's amazing! ), and put enough for two servings in a mason jar with some chocolate chips and miniature marshmallows, and put the directions for cocoa for two on the tags. How was did everyone else's gifts turn out? Do you usually try to make a lot for the holidays?